After meeting Cathy Berberian and Dorothy Dorow, Françoise Kubler has dedicated a great part of her artistic activity to contemporary repertoire and the creation of new music. In 1981 she founded the Ensemble Accroche Note with Armand Angster. She has premiered works by Franco Donatoni, Pascal Dusapin, François-Bernard Mâche, Georges Aperghis, Philipppe Manoury, Marc Monnet, Richard Barrett as well as singing repoertoire by Luciano Bério, Maurice Ohana, Györgi Ligeti, Arnold Schoenberg, Igor Stravinsky. She has also worked as a soloist with the Ensemble InterContemporain, the Radio France Philarmonic Orchestra and the The English Nothern Philarmonia. Françoise Kubler has also studied jazz interpretation. Armand Angster is a solist covering repertoire from Mozart to the most recent works of the 21st century as well as improvised music. Many works have been dedicated to him by composers such as Brian Ferneyhough, Pascal Dusapin, Georges Aperghis, Marc Monnet, Philippe Manoury… amoungst many others. 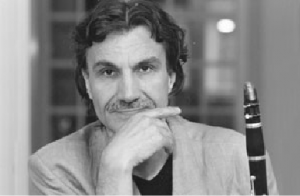 He is the artistic director of the ensemble AccrocheNote. 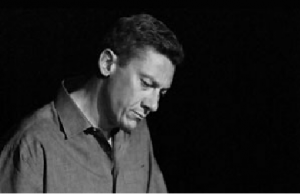 Armand Angster plays jazz and improvised music in mixed written/improvised projects such as Piccolo Canto, Carmen De Vinci, Le Cri du Narcisse. 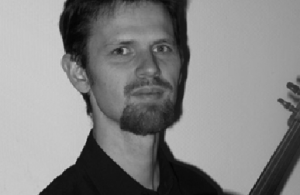 He also teaches clarinet and chamber music at the Strasbourg conservatoire and in courses and masterclasses. Formation au CNR de Reims (Odile Renault), de Boulogne-Billancourt (Céline Nessi), et au CNSM de Paris (P.Y. Artaud et G. Alirol) avec DFS mention Très bien et cycle de perfectionnement dans les classes des solistes Christian Ivaldi, Amy Flammer, David Walter et Michel Moraguès. Flûte solo de l’Orchestre de Chambre Pélléas, co-soliste de l’Orchestre Colonne, flûtiste des ensembles Zellig, Calliopée, TM+ et Musica Nigella. En plus de son activité d’orchestre dans de nombreuses structures (Orchestre national d’Ile de France, Orchestre Philharmonique de Radio-France…) et d’ensembles (EIC, Musique Oblique…) elle fait de nombreux récitals de musique de chambre et en soliste dans divers festivals en France et à l’étranger (“Présences” de Radio-France, “Automne en Normandie”, de La Meije, “Pablo Casals” à Prades, festival “Ultima” à Oslo, Cal Performance à Berkeley aux USA…). 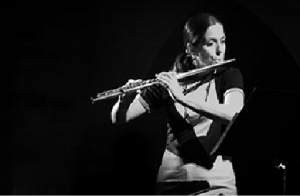 Sandrine François is principal flutist with the Orchestre Philharmonique de Strasbourg and teaches at the Strasbourg Conservatoire. At 18 she was accepted to both the Paris and Lyon Conservatoires and chose Paris (CNSMD) from where she graduated with both her flute and chamber music diplomas. Having received the Lavoisier grant Sandrine spent a year at the Oberlin Conservatory where she obtained an Artist Diploma. She was also winner of the Bucharest International Flute Competition and semi-finalist at the Rampal competition. Passionate about chamber music, Sandrine plays regularly with renowned musicians and groups such as Pedro Ibanez, Frédéric Macarez and the ensemble Accroche Note and has also played as a soloist with orchestras. Much sought after as a teacher, Sandrine has given master classes throughout the world in China, Poland, the Czech Republic, the USA, Sardinia and England. 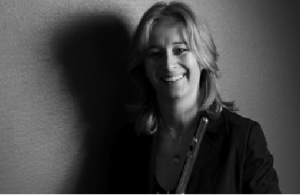 Since 2005 she also organises the international flute course Flutissimo. Thomas Gautier commence ses études avec A.Haas et A.Galpérine au CNR de Strasbourg puis étudie à la Hochschule Hans Eisler de Berlin. De 2000 à 2002, Thomas intègre le CNSMD de Lyon avec Boris Garlitsky puis obtient au cours de l’année 2004 un premier prix de violon mention très bien à l’unanimité, dans la classe de Christophe Poiget et Nicolas Gourbeix. Avec le Quatuor Leonis, il est lauréat de plusieurs concours internationaux dont le Concours International de Genève 2006, le Concours International du Forum de Normandie 2005 et le Concours Européen de musique de chambre de Paris 2005. En juin 2007 Thomas Gautier débute une riche collaboration avec Jean- François Zygel et participe ainsi à son émission « La boîte à musique » sur France 2, à « La leçon de musique » au Théâtre du Châtelet et à la mairie du 20e ainsi qu’ au « Cabaret classique » sur France Musiques. En 2011, il obtient le CA de violon et enseigne au CRR de Strasbourg. Egalemenent membre de l’ensemble Accroche Note, il explore le répertoire contemporain et se produit au festival Manifeste de l’IRCAM, à Musica..
Depuis 2013, il occupe le poste de co-soliste à l’Orchestre Philharmonique de Strasbourg. 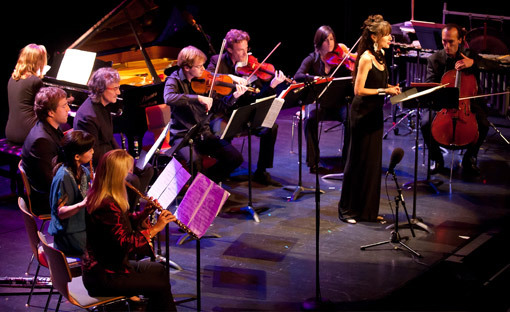 After completeing her post-graduate diploma at the Paris conservatoire (CNSMD) Marie-Pierre Vendôme entered the Hochschule in Utrecht (Netherlands) where she obtainted her soloist diploma and then went on to complete her studies at the Arts Center in Banff. She has worked with Philippe Hirschhorn, Wiktor Liberman, Boris Belkin and was winner of the Evian International Competition. Passionate about chamber music, Marie-Pierre Vendôme has expanded her repertoire working with Sandor Vegh and the Amadeus, Berg and Lasalle Quartets and performs regularly with various groups. She is also frequently invited as soloist with chamber and symphony orchestras. 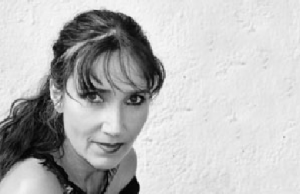 Marie-Pierre Vendôme dedicates part of her professional activity to teaching: She currently teaches at the Angers Conservatoire as well as various summer courses. 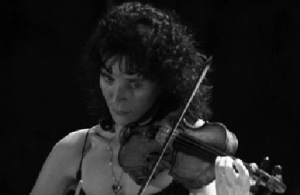 Vincent Roth began his viola studies with Sabine Toutain at the conservatoire XVIIIème arrondissement in Paris. In 1990 he entered the Paris conservatoire (CNSMD) to study with Pierre-Henri Xuereb where he obtained a first-class diploma in 1994. He continued his viola studies with Vladimir Mendelssohn at the Folkwanghochschule in Essen where he obtained his Konzertexamen diploma in 1996. He also studied harmony and counterpoint with Bernard de Crépy and Laurent Riou, as well as composition with Jacopo Baboni-Schilingi. Vincent Roth teaches at the Metz Conservatoire. He plays regularly as a chamber musician with the ensembles In extremis and Accroche Note in Strasbourg. Laurent Camette began his studies in his hometown at the Conservatoire of Marseille, where he gained undergraduate diplomas in Solfege, viola, chamber music and harmony and counterpoint. He continued his studies at the Paris conservatoire (CNSMD) where he completed his viola training in 1999 in the class of Bruno Pasquier and his analysis diploma in 2002 in the class of Michael Levinas as well as a postgraduate diploma. 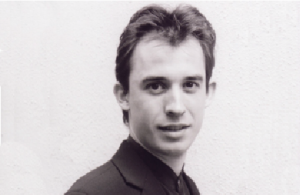 Laurent Camette won the International Viola Competition of Epernay in 1996, the Jean Françaix competition in 1998 as well as the Edmund Pendleton Prize in 2003. 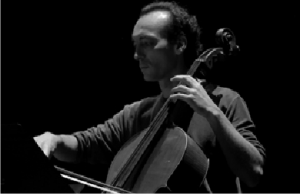 Christophe Beau began his cello studies at the Paris Conservatoire with André Navarra and later integrated the Lyon Conservatoire (CNSM) where he studied with Ivan Chiffoleau and obtained a first class diploma. He also studied ethnomusicology with Jean Louis Florentz. As a member Of the ensemble des Virtuoses de France, ensemble Ricercata de Paris, as well as the Ravel Quartet, Christophe Beau plays regularly in International Festivals. 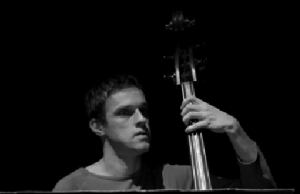 Jean-Daniel Hégé Studied double bass with Marc Marder and Jean Paul Céléa at the Lyon Conservatoire (CNSM). He developped an interest early on in his career for improvised music and as a consequence has worked in wide-ranging formations from classical ensembles to Jazz and even Tango groups. Jean-Daniel Hégé currently teaches classical and jazz double bass at the Strasbourg Consevatoire. 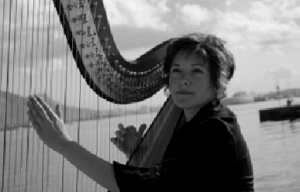 Elodie Adler, harp player, studied at CNSM of Lyon in Fabrice Pierre’s class. She won the International Competition “Arpista Ludovico” (Spain), the International Competition of Spotorno (Italy) and the International Competition Victor Salvi (Tours) as well as the Fundation Cziffra, of UFAM and SACEM. She is interested in chamber music repertoire forming many groups. Since 2001, she has been a harp player at the ensemble Accroche Note with whom she has taken part in many projects (Festival Why Note, Festival Acanthes, Festival Musica, Festival Tachkent, …). Since 2004, she has been a harp teacher in CNR in Toulon. Emmanuel Séjourné founded, along with the saxophonist Philippe Geiss, the ensemble NOCO MUSIC. In 1984 their CD “Saxophones et Percussion” was awarded the audiovisual Grand Prix by the Academy of French CD’s. To date he has premiered more than a hundred works by composers such as Donatoni, Dillon, Manoury, Aperghis, Fedele, Mâche, Pesson, Toeplitz, Stabler, Kerger including concertos, chamber music and solo works. Emmanuel Séjourné performs with different orchestras such as the Luxemberg Philharmonic with whom he premiered the concerto for marimba and orchestra by Camille Kerger. 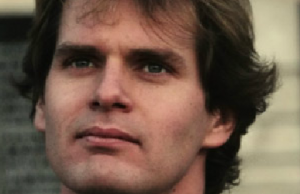 In 1996 he premiered Séanceby James Wood for soprano midi-vibraphone and the New London Chamber Choir. The use of the midi-vibraphone has opened up even more the musical possibilites for Emmanuel Séjourné. Alone or with the ensemble AccrocheNote Emmanuel Séjourné has participated in many festivals around the world for example Zurich, Archipel Genève, Ars Musica, Musica Strasbourg, Huddersfield, Ultima Oslo, Biennale Zagreb, Biennale Venise. His performances have been broadcasted by Radio France, the BBC, WDR, RTA and Norwegian Radio. He has also recorded for Montaigne, Accord, Una Corda, Musifrance Erato as well the jazz lable MFP Berlin. He next CD with be released by Biber Records and will include “Electric Counterpoint for mallets” by Steve Reich.